I’ve been making small changes to my bathroom over the last few weeks. Not MAJOR CHANGES – but small tweaks that I feel are making a huge difference. In case you are in need of a little decor inspiration, here’s 5 updates you should consider for your lavatory. Let’s start with texture. What a difference a plush bathroom rug can make. 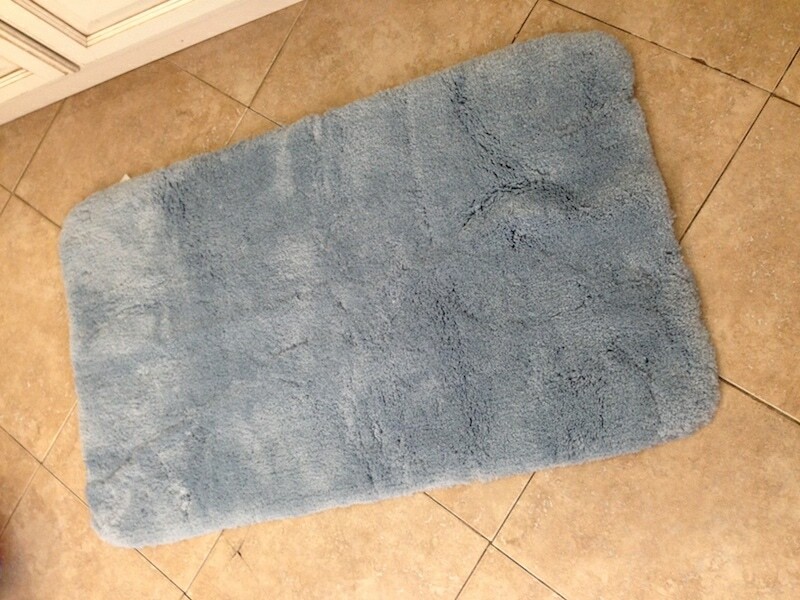 When I step out of the shower and put my feet on this TruSoft rug by Stainmaster , I feel warm and SOFT. 1000% better than stepping straight onto my ceramic tiles. This rug dries quickly and has a non-skid back which makes it perfect for kids. You can wash it over and over again and the color stays put. Available in 8 colors by the way. Do you live in a mix-match world? Little pieces you picked up along the way decorate your sink and shelving? I know. I did it too. Why not just pick up a set? 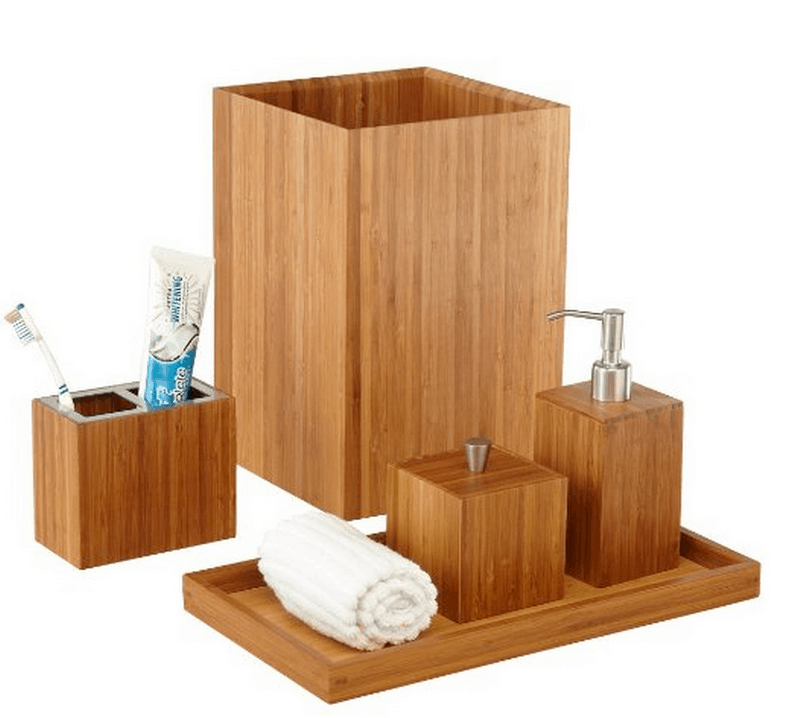 I love this Seville Classics Bamboo Bath and Vanity Set because I feel like it could go with almost anything? Bamboo is so versatile. If you have kids, please consider getting one of these tools for the bathroom. Makes a WORLD of a difference. 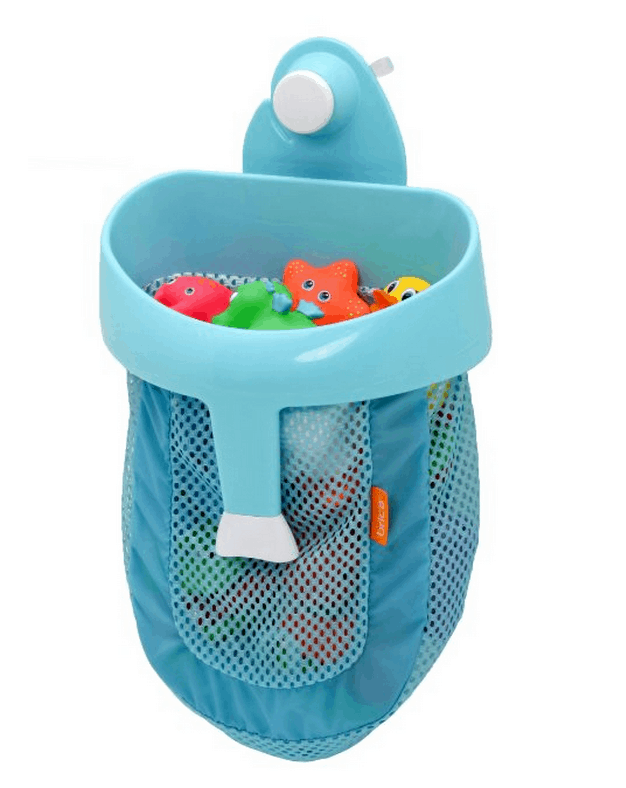 This BRICA Super Scoop Bath Toy Organizer retails for $12.99. After bath time, make sure the kids put away their toys before letting out the water. We all use a lot of tools. TRUTH! But have you considered storing them in a fashionable way? I am OBSESSED with Cinda B. 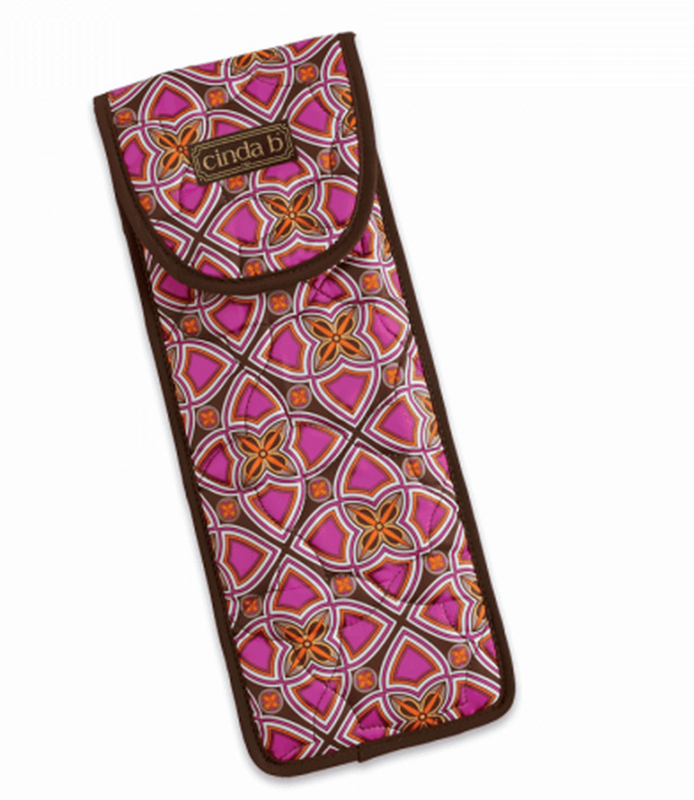 Their flat iron / curling iron cover is just one of the many items this brand offers to help organize your beauty products. Check them out … but be warned. You can never go back. And don’t forget to use your empty wall space. 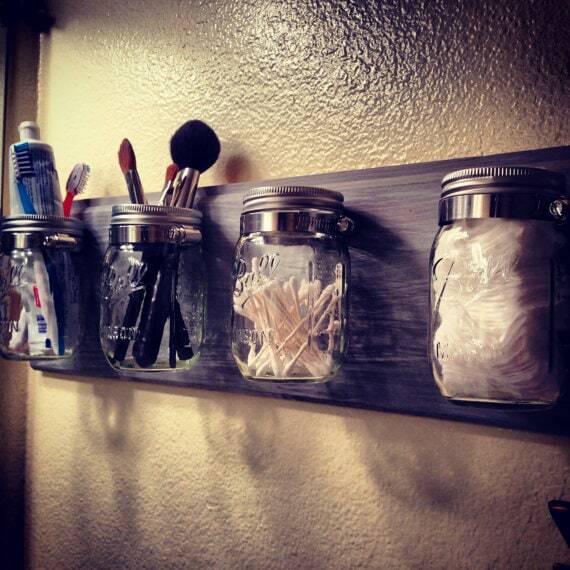 This Mason Jar Bathroom Caddy is simply perfect for those little items you use but don’t want filling up your counter space. Do you have any bathroom decor tips you’d like to share?